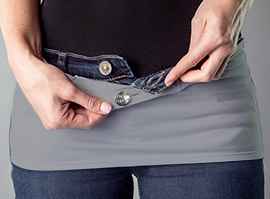 Do you have a pair of jeans you just wish you could fit into? 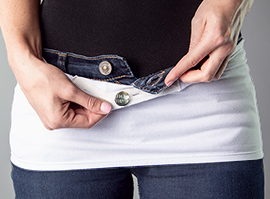 Did you put on a little weight and you don't want to buy an all new wardrobe? Try the Hot Hips! 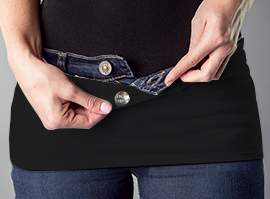 Connects directly to your pants button, allowing it to hold firm and snug. Product is as advertised. I love them! Overall shopping experience was good. But the product doesn't stay in place while being worn. Made me feel uncomfortable. Easy to shop but I had trouble with sizing.